Amid excitement over a French rugby victory and an all-night annual festival, five hoodlums broke into the Musee D’Orsay in Paris early Sunday. 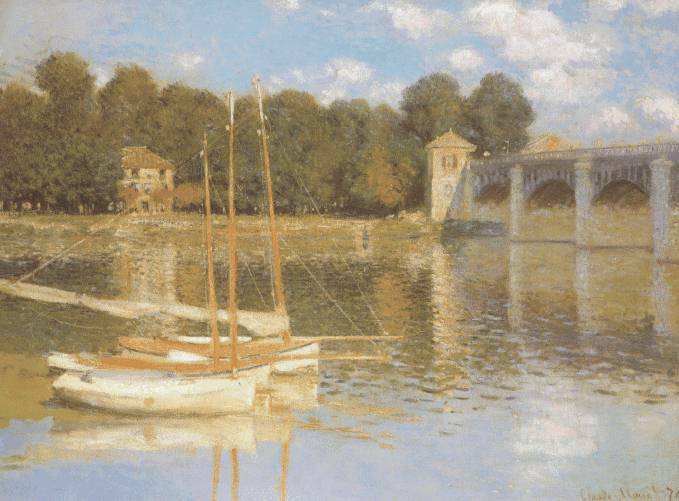 Claude Monet‘s Le Pont d’Argenteuil apparently got in the way of someone’s fist, and the 1874 masterpiece now sports a 4-inch tear in the center of it, the New York Times reports. The French minister of culture says the painting can be restored, but so far no arrests have been made. I think people forget or dont realize that we are only the inn keepers of these wonderful works, assaulting and destroying them is sad and shameful and should be considered a crime, because they are holding history.